Upgrade your daily drives by getting behind the wheel of the new 2019 Toyota Camry sedan. Whether you buy the 2019 Toyota Camry XSE V6 or lease a new 2019 Camry XLE, you'll benefit from impressive Toyota Camry specs and performance features that make tackling harsh New England weather conditions easy. Interested in reducing your carbon footprint with an eco-friendly Toyota hybrid model? Take advantage of the superior 2019 Toyota Camry Hybrid mpg ratings and make your stops at the gas pump few and far between. Visit our Toyota dealership near Providence, RI, to learn about our 2019 Toyota Camry prices! Interested in learning more about the 2019 Toyota Camry LE or the new Camry Hybrid? 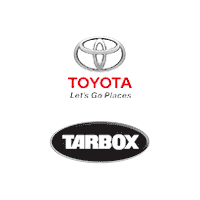 Visit Tarbox Toyota and ask about your 2019 Toyota Camry lease and loan options!